Home How to Use WordPress Affiliate Marketing to Get Out of Debts? One of the easiest and most obvious ways of getting out of your debt is increasing your revenue. The best way to get out of debt is to pay it off on time. In these modern times of technological advancement, the Internet is the best place for people to earn full-time as well as part-time money. You should use this new provision to your advantage to pay off your debts. There are various ways you can use the internet to earn money. One of the best possible ways is affiliate marketing. For those who want to make money from home, the best thing they can do is have a professional site. This site will work as a portfolio for your skills and experience, and it will help your potential customers to get a good picture of your job expertise. Not to mention that creating a website in itself is a handy skill. In fact, being able to get a site up and running from home is going to be an excellent service that you could also provide for your clients, particularly for people who are working from home. You do not require a to spend tons of money to build a website. Firstly, you can try doing it by yourself. You do not need to worry if you do not have any experienced in this matter. The secret lies in WordPress. You may ask. Well, WordPress is a content management system that you can use to blog, but it is more than just a blogging platform. WordPress is what can be called a system for managing contents. Now, there are other content management systems available in the market like Joomla, Drupal and such, but WordPress is undoubtedly the most user-friendly to work with. The CMS is where all your information is stored, and you need the same to create your website. Once you install the software, you can access the interface as it is very convenient to use and can be used for creating new web pages. The contents created by you is then stored in a database, and you can edit them from there using the same interface. That is the advantage of WordPress. When someone visits your website, all these contents will be presented to them in a website layout format chosen by you. You always have the privilege to change this layout at any time, and your contents will adjust accordingly. 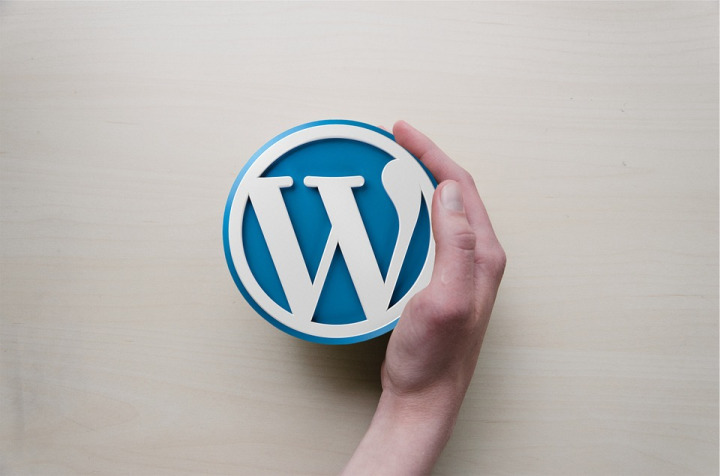 One thing you need to know about WordPress is that it makes all your work easier and faster. Even press agencies use WordPress to keep their journalists updated with the news. Spotify, a music streaming service, also uses WordPress to power its entire website. The primary purpose for you should use WordPress is that it will help you to create and edit your contents in much less time. As a result, you get more time to focus on your business’s other aspects. You can design your own website to make it look custom made for your unique services.You can easily install WordPress using a web hosting website or just by signing up on the official website of WordPress. You do not require any kinds of special set up to discover its features. How to easily install WordPress? Based on the budget and your field of expertise you can opt for a few different ways to start your journey with WordPress. Whether you are using a web hosting service also plays an important role. If you try to use WordPress without having your own web hosting service, then go to signup.wordpress.com and start using a free account. There you will just have to follow the instructions, and it will guide you through the whole method, and you will have your own WordPress website in no time. You can always pay for a domain name if it’s possible, and have a custom made web address for you at the same time. On the other hand, if you do have a web hosting of your own, then you can easily install WordPress. Just make sure that the hosting service supports PHP and MySQL. You can go to Wordpress.Org and just download the necessary files. You will find a guide to install WordPress on this website as well. With the help of an automatic script installer like Softaculous, you can easily access WordPress from your web hosting control panel and install it within minutes. Next step is to choose a suitable theme that compliments your contents. You can always use the install theme option or discover exclusive database layouts yourself. Whatever you do, try giving your website a unique look that will not only draw the attention of the viewer but also will be relative to your contents and business. Currently, there are more than a thousand in-build themes available on WordPress. Use widgets, themes, links, posts, and pages to draw attention and promote products through your WordPress account. How to use WordPress to affiliate marketing? You need to try understanding debt program’s process first and use your internet revenue to get out of it. Use WordPress for affiliate marketing and for that you need to find products that you can promote. There are numerous products on the market that are available for affiliation, and you can choose to promote them on your WordPress blog and website. There are certain places where you can look for affiliate products such as Linkshare.com, Clickbank.com and Commission Junction. There are other options available, but these are the most popular ones. You can find lots of products from a variety of niche to promote and earn commission from that. You will be provided a unique affiliate link for your promotional purposes, and any sale made by clicking those links will derive commission. For those with an understanding of debt programs; using WordPress to promote affiliate products is a profitable business. However, in order for you to reap the benefits, you need to do certain things right. You can use this extra money to pay off your debts quickly.